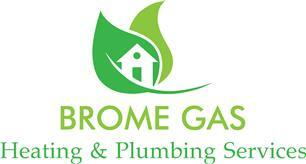 Brome Gas Services Ltd - Central Heating Engineer, Plumber based in Leicester, Leicestershire. I now offer an array of many other additional services which included. •Boiler/cookers/fires/water heaters/warm air unit servicing. •Central heating system conversion from regular to combi. •Home buyers survey report for Domestic Heating and plumbing. Please give me a call, text or email for a free quotation, no obligation vist.